In recent years, food trucks have been popping up everywhere as an innovative and new way of serving food to people. Many of these trucks have delicious, fresh, made-to-order food. They travel from place to place, spreading the joy of delicious cuisine to various areas. 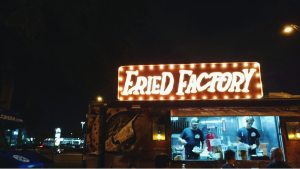 Food Truck Invasion is a company that brings together nearly thirty food trucks for various events. They hold events in West Palm Beach, Okeechobee, and our very own, Miami-Dade. On the fourth Saturday of every month, Food Truck Invasion brings its family of food trucks to Tropical Park, just fifteen miles from campus. This event is held from 6 PM to 11 PM and features a DJ and a bounce house for more family fun. There is a cornucopia of cuisine options at Food Truck Invasion, although not all of 27 food trucks involved can make it to every event. Typically, you can expect Cuban cuisine, pizza, burgers, Asian fusion, barbecue, ice cream, Greek, and more. By more, I mean there are tons of menu items that you can’t often find in a restaurant. 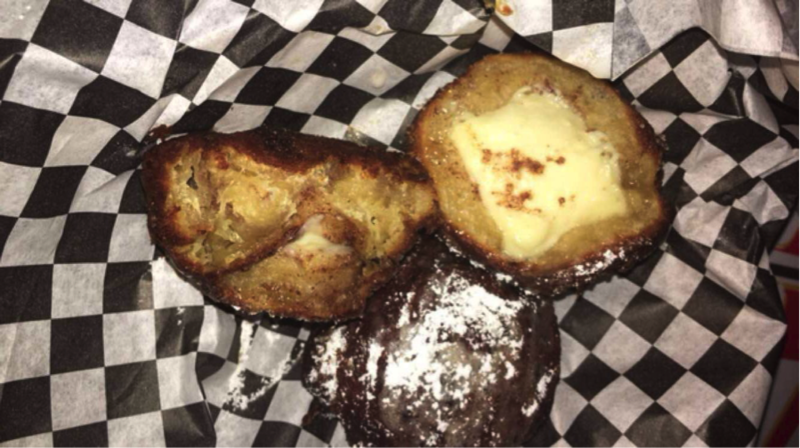 For example, I got the pizzetta burger from Tuto’s Street Cuisine and “porky” sandwich from King of Racks BBQ and finished it off with fried cinnamon rolls stuffed with cream cheese from The Fried Factory. The pizzetta burger was an Angus patty with Mozzarella cheese, ham, and marinara sauce between two pizzas serving as buns. Unfortunately, this took a very long time to make and the “pizzas” were just two square pizza crusts, although it was an interesting idea. 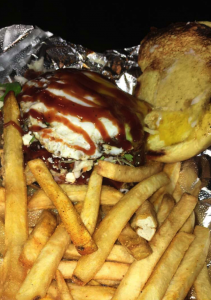 On the other hand, the porky sandwich was delicious: pulled pork, fried egg, grilled onions, Sriracha BBQ sauce, feta cheese, and mayo-less slaw. Although this was messy, the flavors married together in a beautiful union of tangy and salty. 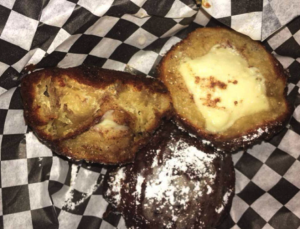 The fried cinnamon rolls were another incredible concept, but had an average result. If the rolls were fried a little less, perhaps more of the cinnamon sugar flavor would be present. However, I still enjoyed biting into the fried sweet dough, as it’s kind of impossible not to. Other intriguing entrees I considered were a lobster roll from the Lobsta Guy and a grilled cheese stuffed with bacon cheddar mac and cheese. YUM. Although there were some things that could be changed about the food, keep in mind they are being prepared in a truck. 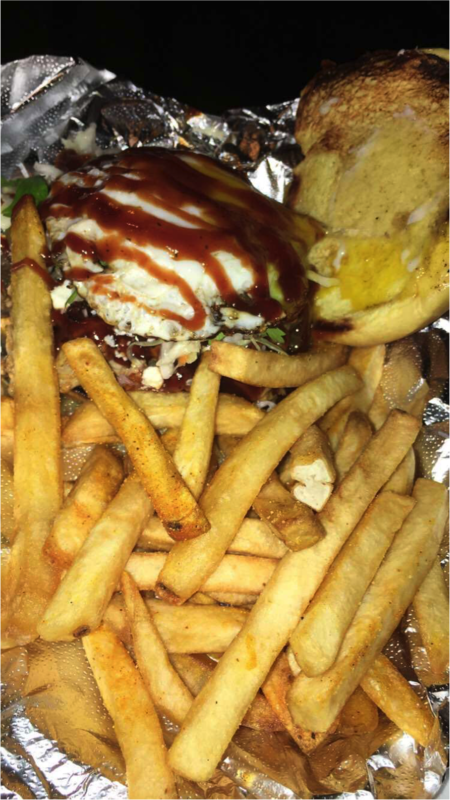 The great thing about food trucks is that they often have really interesting food combinations and entrees, such as the pizza burger or chicken Parmesan fries from Top Fries. 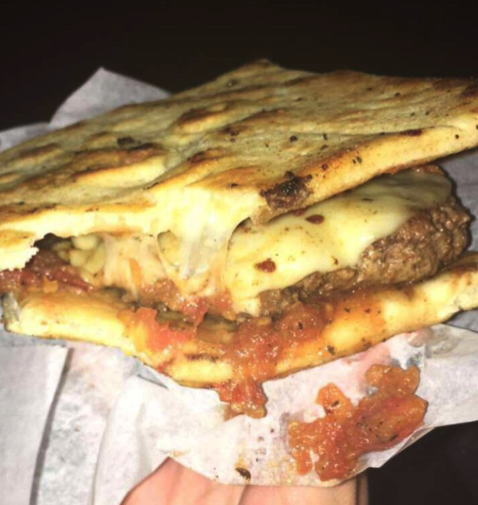 In addition, no matter how picky of an eater you are, you can always find something at Food Truck Invasion. Be sure to make it out to Tropical Park February 24th, or any other fourth Friday of a month, and support a small business at Food Truck Invasion. Kristin Zheng is a junior from Rhode Island majoring in Software Engineering. She enjoys pandas, pie, and long walks through Trader Joe’s.